NBC report the OSD presented a formal proposal to the WH for the supply of US$50M package of FGM-148 Javelin ATGWs to Ukraine. Excellent commentaries by Peterson and Harding, this is a significant development that will throw a wrench into any Russian offensive planning – if the Administration agrees to the proposal. Similar packages to Baltic states involved up to 350 rounds. Multiple commentaries on Eastern Europe, interesting essays by Sytin and Mikhaylenko, and US Army SPH units adapting tactics to defeat Russians. Putin visits occupied Georgia. Three disturbing reports on Stalin and neo-Stalinism. Malashenko fingers Kremlin groupthink, Khruleva Russian self-isolation, and Chichvarkin elaborates on Russia’s meltdown. Meanwhile, Putin takes a photo-op vacation in Siberia. Two disturbing reports on Belarus’ judicial retaliation against protesters. Moldovan President Igor Dodon travels to Tehran to meet with Dmitry Rogozin. Michael Carpenter, former Deputy Assistant Secretary of Defense for Russia, Ukraine, Eurasia, argues Ukraine should receive Major Non-NATO Allied status. TV tower commissioned to broadcast into Luhansk. Donbass fires continue, 300,000 personnel given ATO participant status (i.e. combat experienced). More on upcoming Independence Day parade. Sunday is Air Force Day in Ukraine, Pres Poroshenko is flown by Chief of Air Staff Gen Drozdov in a MiG-29 FULCRUM B from Kyiv to AF HQ in Vinnytsia, emulating Dubya, to decorate PSU personnel, and announce a payrise for AFU personnel (Note four excellent video clips). Balakliya Repair Plant test fires the first pair of ZSU-23-4 “Shilka” SPAAGs overhauled for AFU operation, approx. 300 are mothballed and intended to be rebuilt into the Polish ZSU-23-4MP Biała configuration (good Youtube clip from test shoot). More on Raqqa and Afghanistan alternatives. DPRK and PRC debates are very active, although no major developments. Germany facilitates Russian effort to bypass Ukrainian gas pipelines. More on EU sanctions, Poland and Venezuela meltdown. Good strategy essay on “digital native millenials”. In the IO/IW/cyber area, China’s AI chatbots, disloyal to CCP doctrine, earn today’s COCW Award. Two prime samples of Russia appeasement. US domestic debate remains toxic. The package would include Javelin missiles, which are capable of killing Russian tanks. “Support from the United States of our struggle for independence undoubtedly raises the fighting spirit of our soldiers,” a Ukrainian sniper says. The US government has reportedly sought to send Javelin anti-tank missiles to Ukraine. But it’s an idea two years too late for today’s battlefield, an expert on the conflict said. Self-propelled artillery batteries from 3rd Battalion, 29th Field Artillery Regiment, have become proficient in eluding enemy forces following two consecutive multinational exercises in Germany and Romania, where the unit exploited its mobility and survivability skills. “We’ve adopted new fighting tactics, techniques and procedures to counter the tactics of a near-peer enemy that really makes it difficult for a threat to target our positions,” said 1st Sgt. Timothy S. Harris, senior noncommissioned officer of Battery C, 3rd Battalion, 29th Field Artillery Regiment, also known as the “Pacesetters.” The 3rd Armored Brigade Combat Team, 4th Infantry Division artillery unit emphasized “hide and seek” tactics during a two-week combat training center rotation with 10 participating nations at the Joint Multinational Readiness Center (JMRC) in Hohenfels, Germany, as part of exercise Combined Resolve VIII. The skills gained in these courses also proved handy in July during a combined arms live-fire exercise with six nations, part of exercises Getica Saber 17 at the Cincu Joint National Training Center, Romania. “Unlike towed howitzers, our M109A6 Paladin platform operates on a self-propelled tracked chassis,” said Harris. “During a mission, we’re emphasizing this maneuverability by creating mobility corridors in line with where we need to fire.” These “Paladin Highways” enable battery guns to relocate rapidly, thus confusing enemy efforts to detect firing positions, but maintain responsive fires in a controlled manner. The Pacesetter Battalion is currently providing fire support for 3rd Armored Brigade Combat Team, 4th Infantry Division as it serves as a deterrent to aggression in eastern Europe as part of U.S. Army Europe’s Operation Atlantic Resolve. Its training, both internally and with NATO allies and partners during the brigade-level multinational exercises, calls for the Pacesetters to provide 24/7 fires in all-weather conditions to support maneuver forces. As Battery C prepared for Combined Resolve VIII — working alongside the Romanian 1st Battery, 817th Artillery Battalion, 81st Mechanized Brigade — the Soldiers painted their desert tan 155mm Paladin howitzers dark green to adapt to the forested terrain of Europe. The 3rd Battalion, 29th Field Infantry Regiment also employed tactics to counter small unmanned aerial systems by adopting tactics normally used by multiple rocket launch system units. “Section chiefs would embed their Paladin and M992A2 ammunition carriers into a wood line, and our gunnery sergeants would verify they were concealed from observation,” said Harris. “The most effective firing battery over a protracted fight is the most survivable.” Beyond concealing guns, the battalion also considers the hide tactics of its logistical elements. That means keeping palletized loading systems, which “pull” ammunition resupply, hidden to prevent a large resupply signature from unmasking a unit’s location. 1st Lt. James Kelly, Battery C executive officer, said, “This is the first time we’ve pulled all resupply — fuel, ammunition and water — from a concealed position behind the gun-line.” Kelly said the art of effectively hiding and seeking targets to pop out and shoot depends on quick synchronization and constant communication back and forth from battalion, battery and platoon fire direction centers. “The aim is to minimize the time between receipt of a fire mission and inputting it into the Paladin’s digital fire control system. By carefully anticipating fire missions, we have time to maneuver the Paladins out their hides and into position while minimizing the impact of movement time on our ability to fire accurately,” Kelly said. These hide-and-seek tactics are far different from what the Pacesetters employed during previous deployments to the open deserts of Kuwait and Iraq. A potential fight in defense of a NATO ally or partner in Europe likely would mean embedding in dense foliage, with artillery potentially dispersed across multiple kilometers with impassable ridge lines in between. “The terrain here challenges us from a fires perspective but also in terms of resupply and communications systems. But our training during these exercises in Germany and Romania the last couple months has really helped us fine tune our abilities to quickly and accurately shoot without being seen,” Kelly added. Maxim Mikhaylenko, political scientist, journalist and social activist, specially for Apostrophe Monday, July 31, 2017, 20:31 Russia retains its status only thanks to two things. Russian President Vladimir Putin said that in response to US sanctions, the Russian Federation will reduce the staff of the US diplomatic mission by 755 people. However, such an answer is difficult to call symmetrical and timely. What other decisions can Russia take to respond to the US, and what will it turn out for it, the journalist, political scientist and public activist Maxim Mikhaylenko told “Apostrophe”. Belated answer The only thing that is surprising in this “deportation” or the reduction in the number of employees of the US embassy in Moscow is the number of people whom [Russian President Vladimir] Putin was going to eliminate. The matter is that, probably, here a question in proportions because actually it is traditionally one of the largest embassies. Together with families there worked at least 2 thousand people. But in general this is a very late action. The point is that it would be a logical response to events that took place six months ago, namely, the arrest of the property of the Russian diplomatic mission in Washington, the deportation of 35 diplomats, which happened at the direction of the previous President Barack Obama. Russian society today, these actions of the Kremlin are submitted as a response to the future expansion of sanctions. But this is not the answer in principle. Because, in general, the Russian citizen should be convinced that Moscow is capable in such a critical manner, in such an “impressive” way, to respond to these new steps of the United States. But here – a clear desynchronization. This, in the first place. Secondly, nothing fundamentally or painful for the US, these steps can not bring. Simply because for many years, under the past president, and under the current president, the United States did not conduct any active activity against Russia in principle. The old era is gone Under US President Bill Clinton, back in the 1990s, in the early 2000s, Russia was viewed as an ally. The only complaints against her were on the issue of the refusal after 1998 of democratic reforms and the plunder of American aid. At this time, in 1998-2000, the Secretary of State was Madeleine Albright, with whom the late [Russian President Boris] Yeltsin and his prime minister sharply deteriorated relations. In particular, due to the Yugoslav crisis, as well as the fact that the then hopes for Russia as a pioneer, as a model for the entire post-Soviet space in the field of market reforms and democratization, completely failed. When Vladimir Putin became president of Russia – and in the same year President George Bush Jr. – for many years they had a very constructive, even close partnership. Russia promptly supported the United States after the September 11, 2001 terrorist attack, during an operation against the Taliban in Afghanistan. Relations began to deteriorate only after the US intervention in Iraq and in the mid-2000s – after the so-called “color revolutions” in Georgia, Ukraine, Moldova, Kyrgyzstan. But all these years, including the years of Bush’s rule, Russia was still not regarded as an enemy. It was seen as a country with which there are certain contradictions, which can be regarded as a regional leader, with which it makes sense to negotiate on certain decisions in Eastern Europe, the Middle East, and Central Asia. And today there is no such thing. This era is over. It began to end under Obama. I must say, Obama looked at Russia with indulgence and constantly publicly voiced it. But the crisis that began in 2013-2014 – a large, global political crisis associated with Russia’s attack on Ukraine – for quite a long time showed that the US is not ready to act aggressively against the Russian Federation. And behind this is one thing that concerns directly the activities of both the US Embassy in Moscow and various American corporations in Russia – after the end of the Cold War, the US simply turned down all such activities. It can even be very well seen on the demand for specialties in the US related to the post-Soviet space and so on. They were completely replaced by the Middle East and China. Today, for the whole Obamov political generation, the situation of Russia’s aggressive behavior, the need to decide something with Russia, to act against it, to revive NATO in the East of Europe looked pretty wild. Simply because all this generation of politicians belonged to and belonged to people who were born in the 1960s, grew up in the 1980s, for them it’s all such Hollywood of the Cold War era. You can see that they all the time giggling, chuckling – well, what are we returning to in the 1970s, the “cold war”, well, it’s all funny! .. But The Republican Party and some of the Democrat politicians who were all the time drowning for sanctions, for getting American weapons by Ukraine, were always exposed as retrogrades. People like John McCain and others. Not the “cold war”, and the containment of Hitler’s Germany. Today it is generally very interesting. On July 30, Vladimir Putin talked for a long time with [TV presenter Vladimir] Solovyov, gave him a program interview, that we waited a long time for Donald Trump from a more friendly policy, a return to constructive cooperation – and did not wait. And while Russia is trying to expose America as a generator of tension and the initiator of a new round of confrontation, which is even deeper now than what was called the Cold War in 1970-1980. Then there was not even an opportunity, by and large, to organize an aggravation of military-political nature in Europe, anywhere. Both Moscow and Washington tried in every possible way to avoid such clashes. This was the policy of detente, the policy of cautious, limited cooperation, the division of spheres of influence on the planet between the two superpowers. Therefore, what is happening today is not a cold war. This is more reminiscent of the 30s of the last century in Europe, when no special methods of deterring Hitler’s Germany helped and had to move to more aggressive measures. Should the events that are taking place alert us? How to say. The fact is that everything that Russia could show, it has long shown. This is the level of its mobilization capabilities in the military sense, and its financial capabilities. After all, the Soviet Union never clearly kept its currency reserves in the securities of the US Treasury. In fact, Russia is a developing country that today, in a club of countries that potentially can be leaders, retains its status only thanks to two things: the presence of a nuclear arsenal and a place in the UN Security Council, which by rights should actually have been Is divided among all 15 republics of the former Soviet Union. (But in the early 1990s, the Bush-senior and early Clinton American government tried to prevent destabilization in the post-Soviet space, so it was decided that this place would be given to Moscow, that is, the former RSFSR). And there are no more such features of a developed state that claims to be an empire and a pole of global politics, Russia does not. And this discrepancy irritates many people in Europe, Russia, and Russia … But basically what the Kremlin is doing today, including the deportation of 750 embassy employees, is a bluff. He is already completely on the edge. The United States will no longer be able to answer anything. Because this bill, which, in one way or another, will be signed by President Trump, already contains several hundred pages devoted to Russia. And these sanctions can probably be compared only with the policies pursued by the US and its allies in relation to Nazi Germany in the 1930s and 1940s. We see that American diplomats and politicians express regret, formally so. And the former US ambassador to Russia, Michael McFaul, wrote that it would create huge problems for issuing visas to Russian citizens … But there is not and will not be any serious US reaction to these actions. Already everything has happened. What to expect from Moscow? What steps can thereafter be from Russia? First, Russia is utilizing weapons-grade plutonium. That is, Russia is an element to a certain extent of the US nuclear industry. Already, Putin has threatened over the past two years with an exit from this agreement. But this, again, rather, will hurt Russia. What else can Moscow do? May be interrupted by aerospace and, in principle, space cooperation. But this, rather, will push the American industry to implement the program of Donald Trump on the transition to import substitution. Plus – the niche of Ukraine is expanding in this respect. Although we do not do such engines, in my opinion. What else? You can, for example, prohibit the export of aluminum to the States, which will create some trouble Boeing. But, probably, she will find this aluminum in other places, including in China. All the steps that Russia can take will rather harm her today, because she is not an economically developed country. Roughly speaking, it’s the same as if Brazil or Indonesia began to threaten the United States with something. As for the nuclear arsenal, it is quite clear that this is a guaranteed destruction, and therefore there can not be winners. It would not be desirable, of course, that a mentally ill person should sit on a nuclear button in Moscow, but no one in the world can do anything about it. If this happens. But it’s pointless to talk about this, because the entire Russian elite consists of people who exploit Russian territory and the state apparatus for their own enrichment, and they hide these illegally earned funds in the western zone of influence. In the US, in offshore territories that are under US control. Including this Concerns Putin himself. “United Russia” and he as its leader do not represent something like the German NSDAP (National Socialist German Workers Party, headed by Adolf Hitler, “Apostrophe”), the Italian Fascist Party or the North Korean regime. Separation from the West will mean a complete devaluation of all of their capitals. This is now beginning to come to the final direct discussion that the US can potentially freeze $ 110 billion that are in bonds of the US external loan and are the most important, probably, part of Russian international reserves. This will immediately lead to the collapse of the ruble, because it is unclear what will he be based on in this case. But so far such methods have not even been applied, because the US is satisfied with the economic situation in which Russia is today. Once again, the old logic that it is not necessary to destabilize more than necessary, continues to exist. Today, in particular, Ben Hodges, an American general, one of those staff officers who deal with Ukraine, said that he does not see the need for creating US military bases in Ukraine, the Ukrainian army is doing it well by itself, and the full coordination of everything that Occurs at the front, the United States has a place to be and is constantly developing. US escalation does not want, and Russia is not capable of escalating. And we are in such a situation today. It can last long enough. And basically everything that Moscow is doing is connected with the control over its own public opinion and the intimidation of Europeans, which, however, has ceased to function in the last year. Due to the defeats suffered by the pro-Russian candidates in both the Netherlands and France. The same will happen in Germany … In no way will it be possible to split the West. At least, to split it as we would like Moscow. As for the statement of Anatoly Wasserman that foreign politicians are allowed to enter Russia exclusively through the Crimea, it is also directed to domestic consumption. Wasserman has his own niche – a jester, one of the many at the Russian court, which he realizes as his fading intellectual abilities. The fact is that American politicians and functionaries somehow do not need to go to Russia, except for the special representative for Ukraine Kurt Volcker, perhaps the Secretary of State, perhaps the Minister of Finance. Moreover, such an idiotic idea is unlikely to embody the very top of the Kremlin. This amateur performance, undoubtedly. The point is that the budgets of federal channels for political shows are gradually being reduced. And each of the participants – and 90% are people who receive money for these ethers and for their clownish participation in them – just struggling for a place in the sun. Including expressing similar ideas. Maxim Mikhaylenko, political scientist, journalist and public activist, especially for the “Apostrophe”. Paul Goble Staunton, August 4 – “Vladimir Putin and his entourage confuse Russian-American relations with Putin-Trump relations,” Aleksey Malashenko says, because the Russian president assumes that all leaders have the power to do what they want as he does – and no one in the Kremlin can or will tell him otherwise. In an interview with Kazan’s Business-Gazeta, the Moscow commentator says that Putin “apparently considers that all states are the same and that everywhere there is a chief who does what he wants in the same way [the Kremlin leader] himself does in Russia” (business-gazeta.ru/article/353496). In Putin’s view, Malashenko continues, “it is sufficient [for him] to speak with Trump and everything will be decided. But he completely fails to consider that in the US there is an entirely different political system, and although Trump can decide about a great deal, all the same, he can’t decide everything.” If one enters into “Putin’s logic,” everything becomes clear. Putin “hasn’t gone beyond the limits of his worldview. This recalls an episode during Khrushchev’s visit to the US in the 1950s. Some women stood on the path of his motorcade with a sign condemning the Soviet intervention in Hungary.” “Khrushchev got angry and accused Eisenhower that he had put her up to this,” but the US president replied that “there is freedom in America. Khrushchev didn’t believe that but noted that such hokes would have been impossible without his permission.” Putin “lives in his own world, [and] each of our politicians is gradually beginning to live” in isolation as well. Obviously, there must be people in the Kremlin who do understand, Malashenko says; but what is striking is that “those who are in Putin’s entourage cannot explain this to him or are afraid or do not want to,” given that Putin “loves to have one-on-one meetings with foreign leaders. He does not understand that in other countries, leaders and their staffs view these meetings as just part of the normal course of business rather than something always more significant than that. Moreover, they do not view the expulsion of diplomats as something nearly as important as Putin appears to believe. According to Malashenko, Putin does not have a lot of good options to respond to US sanctions not only because Russia is relatively weaker – indeed it is strong only in military terms and really only in nuclear ones – but also because Russia is not the Soviet Union. Its population will not tolerate things that the Soviet people did. But in several respects, Putin even benefits from the latest round of sanctions. On the one hand, he can use them to justify cutting back spending on various domestic projects and blame the West for that. And on the other, he can play up divisions between the US and the Europeans, something he is already doing. Because of this imbalance and because the Russia of today is not that of the 1990s, relations between the US and Russia are at the lowest point since the Korean war, Malashenko says. “Even the [Cuban missile] crisis was not so critical.” Moreover, the specific nature of Donald Trump and the still unresolved impact of the collapse of the USSR add to this mix. Nonetheless, the Moscow analyst says, relations between the two countries have bounced back before; and one can hope that they will again. Paul Goble Staunton, August 4 – Yesterday, a remarkable thing happened. Russia’s economic development ministry explained the rise in mortality rates in Russia by pointing to the consequences of the cutbacks in health care there that have been imposed by what Vladimir Putin euphemistically calls health care “optimization.” To explain the five percent rise instead of the planned decrease in mortality rates among Russians, the ministry in a 105-page report pointed to precisely the changes in Russian health care that have occurred because of the significant cutbacks in funding and closing of facilities Putin has sponsored (government.ru/media/files/i0d1XvJka1R0C7eEgp2p5nHHhbnHyVH8.pdf). Specifically, it said that “in connection with the low rates of activity of the primary link of health care in the early diagnosis and treatment … the delayed hospitalization of patients with serious problems … [and] the untimely appeal of the population for medical help, an increase in the category ‘deaths from all causes’ (per 1000 population)” rose from 12.3 to 12.9. In calling attention to this, the Newsru agency says that Rosstat had recently released statistics which suggest that the mortality rate will be even higher this year. During the first five months of 2017, 111,800 Russians died, more than twice as many as did in the analogous period of 2016 when 41,600 did (classic.newsru.com/russia/03aug2017/mortality.html). The news agency also recalls that in January, Russia’s health ministry said that it was revising its projected mortality rate figures upward and its life expectancy projections downward for the year ahead (classic.newsru.com/russia/26jan2017/unhealthyministry.html), thus directly contradicting Vladimir Putin’s recent upbeat statements. And the outlet also notes that the Health Foundation just a few months earlier drew a direction connection between the rise in mortality rates in Russia and reductions in the number of hospitals and hospital beds available to the population, again challenging the Kremlin’s claims in that regard (classic.newsru.com/russia/21oct2016/stat.html). A famous businessman about life in Britain, the tiredness of Russians from Putin and protests in the Crimea EVGENY CICHVARKIN is a Russian businessman, co-founder and former co-owner of Euroset, a critic of the Kremlin’s policy towards Ukraine and the annexation of the Crimea. Since 2008, one of the most famous Russian entrepreneurs lives in the UK, where he works in the wine business. In the first part of the interview to “Apostrophe” Yevgeny Chichvarkin told about the global fatigue of Russians from Vladimir Putin and the possible “vodka” protest in Russia, and why the fighting in the parliament is good and without which Russia will not be able to afford a full-scale war. – How does a resident of the UK tell us how the security system in the country has changed since the last terrorist attacks? Are there any cardinal decisions of the authorities? – Police added, the police became more active. Thoroughly check bags in places of mass congestion. Of what was added, perhaps, that’s all. Nothing else happened. In your opinion, is there an opportunity to influence the political processes in Russia without being in Russia? “” As the history of Vladimir Ilyich Lenin shows, yes, it is possible. Or as Seva Novgorodtsev (the radio host of the Russian Air Force service, Apostrophe) influenced the fall of the Soviet Union. The water also had a long grinding stone, but one such small trickle was also strong. “How do you assess the situation in which Russia turned out to be?” “There is a lot of debate now as to how stable the system is in general, who will be Putin or not Putin …” About the system, do you mean a political regime or an economic situation? “” One is quite connected, in fact. The political regime will depend on how stable the economy is. I have no doubt that no sooner than a year and a half or even less, Russia will face a serious economic shock due to the fact that it will be necessary to print money. “In a recent interview you, by the way, said that the next year for Russia will be A lot will change. What will this contribute to? Probable devaluation? “” You see, everyone is waiting for new ideas from Putin. Now fatigue from him is very large. He does not understand how to communicate with the younger generation at all. He does not imagine this at all. Just does not represent. According to Evgeny Chichvarkin, Vladimir Putin does not know how to communicate with the younger generation. Still, support remains, even with such fatigue. “There is not one independent research company left to count this real support. We 100% do not know how much a person really supports him. All that we know for sure: that these data are falsified, and rigged decently. Moreover, here is exactly the same as with the question on Brexit. The conditional Vasya Pupkin calls the teacher and asks: “Do you support Putin?” It is clear that she does not want to be fired and will respond that she supports. Another question is where this teacher will put a tick when she will be alone with the ballot. And, most importantly, if barricades happen, will she carry pies on the barricade or not? “” And what about barricades? “” Look, in the twenties of December 2014 in Moscow there were no currencies for three days, and everyone was panic-stricken. The pound rate then flew to 122. When the Russians vote in good faith – they vote for George Washington on a $ 100 bill. And now half of the housewives basically have enough money only for food. And any investment jump pushes them into a situation where they will not have enough money for food. “And what about such a lack of food on the street?” To the so-called “sausage protest,” as he is called by the opposition Russian journalist Arkady Babchenko, for example. “Maybe.” And not necessarily “sausage”. It can be “vodka”, it can also be “tobacco”, as it once was in Moscow. Even I found this protest and the blocking of streets. It all happens spontaneously, without an organizer. But there is no doubt that Putin will certainly try to throw something out before the elections to distract attention. Will begin some kind of confrontation with Trump, for example. When Ukraine was terrified of Trump’s election, I wrote that everyone who was horrified simply did not read my message, where everything was written, what kind of person and how he will behave .- And how will he behave towards To Ukraine? – Judge for yourself, if the NATO exercises at Trump are organized, not with Obama. Military exercises are Trump’s will. Obama did not trust the corrupt top of Ukraine very well, so he hesitated with this decision. And Trump has other combinations: he is a businessman, he will do whatever he considers profitable. Trump will meet with Putin, they will hold on to each other for a long time, and then Putin will put him on a bet and translate everything into a different confrontation, tougher. “” Between the US and Russia? “” Yes, so we’re stocking popcorn. Within a few months, as Putin will certainly try to deceive him, he is a fraud. “” And what kind of deception is this? “” He will deceive Syria, he will deceive the Donbas, he will deceive even with a “Little Russia”. “What is it for raising rates?” “The logic is very simple:” This is all our territory, what are you bothering with your NATO? Ukraine is ours. Kazakhstan is ours. You have your own control territory there, and We have our own here, “etc. Returning to the topic of elections in Russia, the recently discussed topic was information that the Kremlin can not decide on messages for Putin’s election campaign. What do you think, what kind of campaign will this be, and what message can there be? “” I think that United Russia will have access to the people, as Putin has already gone. He will take the most unpleasant of his surroundings, bring them to sacred sacrifices, [Aleksey] Kudrin and [German Gref], for example, and after the election of all on * bet. He just can not do it any other way. This is our whole story – it promises to happen. “And why does it happen every time?” “The first eight years of his rule, the price of oil was growing, no matter what he did. And the high price of oil has done its job. Then, the more they accept and write their laws, the it gets worse and harder to earn. Even during the period of Medvedev’s rule it was different. Moreover, the 2011-2012 years were quite good for Russia – the oil revenues returned, everything seemed to be nothing .- And then? – And then he began, on the one hand, to make all kinds of impossible laws for life, raise taxes, raid seizures Interesting uncontrolled assets. After the attack on Ukraine, the price of oil sharply went down. To date, Russia is making ends meet and can not afford projects such as a full-scale war without the inclusion of a machine. Due to the silly activities of the siloviki, 350 banks have been closed over the past five years. They are all looted, destroyed, or they just do not renew the license. Therefore, Putin has nothing left but to promise all budget employees to raise salaries and even raise something. This is its basis, only for it will vote. It will raise pensioners, rogvardeytsam, military, the same teachers, will raise all budget workers. And to do this, he needs the price of oil again for 100. Or he will need to turn on the machine. And switching on the machine will mean that it will again be all-up, because the dollar will again become less short. “And what will it be possible to buy all of them with such a turning on of the machine?” “What is Putin’s ideal, what he was taught, what he practically did Never loses and what he always achieves in all operations is to play short. He can not play long, but in short – please. He is a tactician, not a strategist. Look at the operation to seize the Crimea. This is a very professional special operation. Or the abduction of [Sergei] Polonsky from Cambodia, a small special operation, but still. Or the abduction of [Leonid] Razvozzhayev from Kiev. Or the murder of [Alexander] Litvinenko. Or the murder of [Boris] Nemtsov. All these are special operations, and they are obtained from him. Elections for him are also a special operation: to cooperate, to get together, to make plan A, plan B, to select the necessary personnel for this and all. This is something that Putin knows how to do and knows how to do well. He does it at the level of the animal. He feels and understands how to do it at the animal level. “What do you think, what role in this special operation can Alexei Navalny play?” Still, there is no clarity, he is a Kremlin project or a real opposition figure. “The brother of any Kremlin project, torn from the family, is not simply tortured in jail for nothing, Kremlin projects are not poured with greenery mixed with acid. He still does not normally see. With Kremlin projects it does not happen like this. You see, I also do not like the populist program of Navalny in many respects, I even know who brought it, but I must admit that he is now the only opposition candidate. Putin is leaving for stability and a pension guarantee, this was bought by the Crimeans in 2014. They were bought on pension, which should have been in the winter. As a result, the rate (the ruble, – “Apostrophe”) became 60, and they, too, * bali.Porote note that in Crimea there are often small local protests. From time to time they go out for some actions: do not close the hospital, let’s trade, give us back the market, fix the bridge, give us water. Why do people go to protest in the Crimea, but do not go to the rest of the territory controlled by the Kremlin? Because people are used to the fact that it is possible to achieve something from the Ukrainian authorities. If people are dissatisfied, we will share with the people. As your president says: a pig to cut – a lot of squeals, and little wool. And so, for 23 years, the feeble, shallow Ukrainian authorities allow people to come out to protest. In Russia, everything is different. If somewhere the market was demolished, in no place controlled by the Kremlin, no one will come out with a protest. Hospitals are closing down, schools are closing, teachers are being cut, but they rarely come out really, and they are terribly afraid of it. Until some time, while there was money, they were simply jammed with money. Who scared, who stopped up with money. At some point, Putin will again promise to all people who depend on the budget, stability, and he will do it exactly and will not be able to provide it, at least in currency terms. President Vladimir Putin has gone spearfishing in southern Siberia’s mountains, the latest stunt for the action man and adventure-loving Russian leader. After a week dominated by talk of sanctions, the American and Russian Presidents are now off vacationing on opposite sides of the globe. Sixty ethnic Tuvin professional soldiers clashed with about 100 ethnic Russian professional soldiers at a sergeants training academy in Yelan in Sverdlovsk oblast earlier this week. The fighting turned violent and 14 of the soldiers remain hospitalized, according to regional news agencies. According to anonymous inside sources, “three months ago approximately 60 contract soldiers arrived from Tuva to take courses” so that they could be promoted. On the night before graduation, they purchased alcohol to celebrate but “having gotten drunk, they recalled” the hostility and mistreatment they had encountered from the ethnic Russian soldiers. Armed with knives and clubs, they threw themselves on the Russians, wounding 13 soldiers and one officer. An investigation has begun, and the defense ministry is supposedly flying in from Moscow. But officials have gone out of their way to say that no guns were used in the clash. On the one hand, many may be tempted to dismiss this as the result of alcohol at a time of graduation ceremonies; but on the other, this event may be far more serious than the usual incidents of “dedovshchina” that are routinely reported which involve what the Russians calls “non-standard behavior” by one group of soldiers against others, usually more junior draftees. A British court on August 4 refused to extradite a Russian businessman who is accused of organizing the murder of a retail tycoon in Russia, saying there was little solid evidence against him. Dozens of people came to the court building to support the journalist. Homel region court is considering a case of journalist Larysa Shchyrakova today. She is charged with having violated the media legislation and being involved in “illegal production and distribution of media materials”, belsat.eu reports. Maryna Adamovich was fined for $ 500 for the participation in the action held on July 3 in Minsk. One of the leaders of the Belarusian National Congress Mikalai Statkevich wrote this on Facebook: – My wife stood trial in the Leninski district court of Minsk. For participating in the celebration of the anniversary of the liberation of Minsk from the Nazis. The appointed “judge” Asipenka fined her for 40 base fees (about $ 500). The people who came to support Maryna saw an advertisement that I was also supposed to be tried at the same time in the same court by “judge” Kaviak, on the notice board. Apparently, also for the celebration of liberation from the Hitlerites. I never heard that opponents were tried by whole families in Germany in the Hitler’s times, which our “overcooked” president defends so vigorously. In short, “liberalization” and “dialogue” are flourishing. I wonder, do these “judges” ever think about their future after the people do away with their “Fuhrer”? Don’t they know about the fate of the “judges” appointed by Hitler? EU sanctions kept Russia’s deputy prime minister from entering Moldova to mark the anniversary of Russia’s occupation of Transnistria. Vitaly Portnikov The turning back of the plane carrying the Russian Deputy Prime Minister Dmitry Rogozin is being compared ironically with the U-turn made over the Atlantic by the plane of the former Russian prime minister Yevgeny Primakov. Primakov, one of the initiators of Russia’s return to Soviet revanchism and its anti-Western foreign policy, ordered that his aircraft be turned back after learning about the start of the NATO operation against the regime of Slobodan Milosevic in the Balkans. The crazy maneuver has come to symbolize the collapse of any hopes for change in Russia. Soon afterwards, President Boris Yeltsin would leave politics and the checkist Vladimir Putin would defeat the checkist Primakov in the competition of who could best protect the interests of the FSB (Russia’s Federal Security Service). But Primakov had the plane do the U-turn over the Atlantic of his own volition . Rogozin, however, had to return home after Romania barred the airliner with the undesirable passenger from entering its airspace to fly to neighboring Moldova. Rogozin, of course, does not fly over Ukraine. Earlier, despite being on the European Union’s sanctions list, he was able to visit the country whose “curator” he is considered to be in the Kremlin. But this time Bucharest decided not to do any favors for Rogozin. And it is clear why. The Russian official was planning to hold an elaborate celebration in Bendery to mark the 25th anniversary of the actual occupation of Transnistria, which, of course, was called a “peacekeeping operation.” The Romanians quickly agreed with the position of Moldova’s government and parliament, which considered this “holiday” a mockery of the country’s sovereignty and territorial integrity. After returning to Moscow, Rogozin brazenly threatened to exact revenge on the Romanian government while, following the example of his boss Vladimir Putin, he pretended to worry about the women and children on the passenger plane, whose lives supposedly were endangered by Bucharest’s decision. At the same time, the thought that sanctioned individuals should not enter the cabins of commercial airliners did not even enter Rogozin’s head. Women and children probably were supposed to become a live shield for Putin’s associate to help him get to Moldova to mark the day of the occupier. However, it simply did not work this time. Sadly, Moldova’s acting president turned out to be on the side of the occupier. It was Igor Dodon, in fact, who had invited Rogozin to Moldova and who was preparing to accompany him to Transnistria and to embrace the head of the occupation administration, Vadym Krasnoselsky, at the dubious holiday. Afterwards, when Dodon’s anti-state plan was undermined by the joint efforts of Moldova and Romania, the president threatened his own country with mass protests and promised to go to Bendery without Rogozin. And that is because Krasnoselsky clearly indicated there could be no discussion about the restoration of the territorial integrity of Moldova. However, when two presidents — the legitimate one and the puppet– dance together to the tune of Rogozin’s balalaikas, the Russian official does not even have to come. The dance will take place under any circumstance. 04.08.2017 10:27. United States should grant Ukraine a Major Non-NATO Allied status to help the country counteract Russian aggression.Michael Carpenter, former Deputy Assistant Secretary of Defense for Russia, Ukraine, Eurasia wrote this in the article released on the Defense One portal. “[US Secretary of Defense James] Mattis should also declare that the U.S. is granting Ukraine ‘Major Non-NATO Allied’ status, which is a largely symbolic move, but one that would formally prioritize security assistance and other support to Ukraine,” Carpenter writes. In his opinion, this move should in no way hinder possible Ukraine’s full membership in the North Atlantic Treaty Organization. “Any public rollout of Major Non-NATO Allied status would, however, have to state explicitly that the conferral of this status in no way prejudices Ukraine’s current or future aspirations for NATO membership,” the expert says. 05.08.2017 12:04. The Ukrainian World Congress welcomes the signing by United States President Donald Trump of the Bill &quot;Countering America&rsquo;s Adversaries Through Sanctions Act&quot;. From the tower in Bakhmutovka, digital and analogue television broadcasting will begin this month. In the Luhansk region in with. Bakhmutovka completed the installation of a 134-meter tower of a new radio and television broadcasting station. This was reported on Facebook by a member of the National Council of Ukraine on Television and Radio Broadcasting Sergei Kostinsky. The installation lasted a month. The operator of telecommunications is KP “Innovation and Information Center” (city of Severodonetsk). From the tower in Bakhmutovka, digital and analogue broadcasting, as well as FM broadcasting, will begin this month. Read also In Chongar opened a TV tower: today will begin broadcasting to the Crimea (photo) “The next step in Bakhmutovka will be the installation of TV and radio equipment, which will ensure the broadcasting of Ukrainian TV channels and radio stations close to the line of delineation, including in the city of happiness. The operator of telecommunications is KP “Innovation and Information Center” (Severodonetsk) “, – said Sergey Kostinsky. In the event, it is planned to launch Public Broadcasting Programs (NSTU), a number of national TV channels, Army FM and other broadcasters. 05.08.2017 11:26. Militants launched 38 attacks on positions of the Armed Forces of Ukraine in ATO area in Donbas over the past day. In the past day, August 4, militants violated ceasefire 38 times across the zone of the Anti-Terrorist Operation. Three Ukrainian soldiers were wounded in action, according to the press center of the ATO Headquarters. News 05 August from UNIAN. 04.08.2017 16:45. April 2014 – June 2017, 303,446 people, who participated in the anti-terrorist operation in eastern Ukraine and ensured its conduct, were granted the ATO participant status. Instead of swimming and playing volleyball, hundreds of children in war-torn Ukraine have spent this summer assembling Kalashnikov rifles and mastering the art of war. This year, 59 civilians have been killed and 280 injured as fighting continues in a 3-year-old war between Russian-backed separatists and government forces. Residents despair of ever seeing peace. In spite of a decision taken by the Ukrainian authorities to provide billions in financing of the defense needs of the state in 2017, the fulfillment of the government defense order for this year has already been disrupted by the Defense Ministry, which hasn’t signed contracts with the defense industry for the manufacture of new military equipment, a coordinator of the Information Resistance group, MP Dmytro Tymchuk of the People’s Front party, said.In spite of a decision taken by the Ukrainian authorities to provide billions in financing of the defense needs of the state in 2017, the fulfillment of the government defense order for this year has already been disrupted by the Defense Ministry, which hasn’t signed contracts with the defense industry for the manufacture of new military equipment, a coordinator of the Information Resistance group, MP Dmytro Tymchuk of the People’s Front party, said. “The state defense order for the purchase of new armored vehicles for the army was deadlocked a month ago, and is deadlocked now (yesterday I specifically asked directors of the enterprises about it). The reason is the same – the Defense Ministry does not conclude contracts with defense enterprises, having been disrupting the fulfillment of government defense order for this year,” Tymchuk said in the comments posted on the Information Resistance (sprotyv.info) website in connection with the president’s signing the amendments to the state budget for 2017 the other day. The lawmaker said that because of the position of military officials, despite the war, the defense industry capacities are idling, and thousands of workers of the defense industry will have to go on unpaid leave one of these days. “The new equipment will not be produced, although the financing of the state defense order (state guarantees) has been envisaged,” he said. In this regard, Tymchuk recalls that when revising the budget for 2017 “practically all the branches of the government worked well: the parliament adopted appropriate amendments, the president quickly approved them.” “If there is a reason for such a position of officials of the Defense Ministry – I really want to hear it, because it’s unclear why we take out billions from the social welfare funds and give them to defense, but our defense industry is idling,” the lawmaker summed up. 4,5 thousand servicemen, 70 units of equipment and for the first time the partners from NATO countries will march with Ukrainians – all this is a military parade on the Independence Day of Ukraine. In order to have enough space for training, the military was allocated a whole airfield of the Antonov plant in Kiev, TSN reports . On the parade ground, all Ukraine – cadets, border guards, SBU, National Guard and the armed forces units are represented at the rehearsal. For the first time in history, along with the Ukrainians, military personnel from NATO countries will march on the parade. Participation in the parade has already been confirmed by Great Britain, Estonia and Latvia. They can join other NATO countries, as well as Georgia. Minister of Defense Stepan Poltorak visited rehearsals and stated that there were no extra expenses for the parade – there was a form and technique, the morale of the military was at a proper level. It is noted that during the parade special attention will be paid to those who took part in hostilities. March will be attended by more than a thousand participants and veterans of the ATU. The main emphasis this year will be on history, since the military will be held on Khreshchatyk not only on the occasion of the 26th anniversary of Ukraine’s independence, but also the centenary of the creation of the army of the Ukrainian People’s Republic. A new generation of defenders of Ukraine will step on to the sounds of the same march as the ancestors – march by Lysenko. The Ukrainian state continues to attack its anti-corruption activists. The Investigative Department of the Kyiv Fiscal Service initiated criminal proceedings against the managers of the Anti-Corrution Action Center NGO (AntAC), the center announced on 2 August 2017. However, activists don’t have a clue what the official reason for it is. Applying for the details of the case, a lawyer representing the AntAC figured out that the investigation was started 2 months ago. The appeal was filed by some “third party.” The activists consider the actions of the tax police as pressure on the organization. They suspect that the “third party” is a former assistant of the gray cardinal of Ukrainian politics Mykola Martynenko, MP Pavlo Pynzenyk. On 23 May 2017 during a briefing in the Verkhovna Rada [Parliament], Ukrainian MPs watched a documentary about AntAC members allegedly embezzling funds. Pynzenyk initiated the screening. According to him, the materials which he obtained contained facts that “despite the high wages of the members of this association [Anti-Corruption Action Center], additional funds were transferred to individual entrepreneurs.” Back then, the activists refuted the allegation and said that it was a campaign directed at shutting down the NGO. They consider the recent proceedings continue the campaign of attacks. Serhiy Yakutovych, Ukrainian graphic artist and illustrator, passed away on June 27, 2017 in his native Kyiv. His artistic works convey strong emotions and feelings, or are meant to set a certain mood. He often crafts scenes and images using the etching technique or a simple pencil or ink sketch, inspiring readers with his profound and realistic visual scenarios. German techno band Scooter faces significant legal consequences for performing at a festival in the Crimea region of Ukraine that was annexed by Russia in 2014, the Ukrainian ambassador to Germany said an interview published Saturday. Ukrainian prosecutors for Crimea have opened a case over the German Scooter band's visit to the Russian-occupied peninsula in violation of Ukrainian travel regulations, according to the Crimean news portal Krym.Realii. News 04 August from UNIAN. 05.08.2017 13:51. President of Ukraine Petro Poroshenko has arrived at the military airfield of Vinnytsia to congratulate military pilots on the occasion of the Day of Air Forces of the Armed Forces of Ukraine. The Head of State announced this on his Facebook page. “I arrived by MiG-29 aircraft at the military airfield of Vinnytsia to congratulate military pilots on the occasion of the Air Force Day. I sincerely thank all those who are currently guarding the sky of independent Ukraine for your irreproachable military service. I wish all a peaceful sky!” he wrote. President, Supreme Commander-in-Chief of the Armed Forces of Ukraine Petro Poroshenko congratulated pilots on the Day of Air Forces of the Armed Forces of Ukraine on the working visit to Vinnytsia. “On the occasion of the Air Force Day, I wish you a peaceful sky. It is from you, by the way, in many ways and depends, whether it will be peaceful. I wish you inspiration and success in your difficult military service, harmony and prosperity to your families, good health, unshakable faith in the happy future of our Ukraine, “Petro Poroshenko addressed the participants of the celebrations on the occasion of a professional holiday, upon the arrival of the MiG-29 airplane to a military airfield in the village Havryshovka of the Vinnitsa region. “Thank you for the impeccable military service to all those who are currently guarding the sky of independent Ukraine,” the Head of State said. The President stressed that Ukrainian military pilots are protecting the country from the Russian aggressor. “You have performed and are performing extremely difficult tasks. From the sky you cover and defend our troops and our whole country, conduct aerial reconnaissance, “he said, adding that during the period of active hostilities, as it should be, the pilots destroyed armored vehicles and the firing positions of terrorists. The head of state stressed that the heroes of heroism and sacrifice became heroes of Heroes of Ukraine Konstantin Mogilko and Dmitry Mayboroda. “They died, giving an opportunity to save their comrades and preventing civilian casualties. Residents of Slavyansk will certainly deliver a monument to the pilots of the aircraft, which on June 6, 2014 was shot down by Russian militants and could fall on the city. The crew at the cost of their own lives took the plane to the forest belt, “the President said. Petro Poroshenko also noted that the Ukrainian people will always remember the crew of Alexander Bely, whose Il-76 was shot down by Russian-terrorist units near the Lugansk airport. As well as all servicemen of the units and units of the Air Force, who gave their lives for Ukraine. Those present honored the memory of the dead heroes with a minute of silence. “Today, the Air Force continues to carry out combat missions in cooperation with other branches of the Armed Forces. Crews of aviation brigades, along with combat calculations of anti-aircraft missile and radio engineering units, are on duty in the air defense system around the clock, “the President said. According to him, the professionalism of our aviators is noted at the international level. Last month, the military pilots of the 831st Tactical Aviation Brigade won the nomination “Best Aerobatics among NATO Partners” at the international air show “The Royal International Air Tattoo”, which was held in the UK. In addition, a significant step in compatibility with the air defense units of NATO member states was the participation and successful combat firing of the S-300 anti-aircraft missile unit in the international tactical exercises with the Shabla-2017 combat shooting. “This is the first experience of the participation of air defense units of the Air Force in such international exercises that took place in Bulgaria this year,” the Head of State said. Petro Poroshenko stressed that this year more than a billion hryvnia have been allocated from the state budget for the restoration of combat capability, maintenance, operation and repair of weapons and military equipment to the Air Force. “This will allow putting into military units more than 40 basic models of weapons and equipment. Combat personnel have already replenished the renovated and modernized aircraft, anti-aircraft missile and radar systems. During the first half of the year, after the modernization and repair, Su-24M, Su-25M1, Su-27UBM1, MiG-29, An-26 and L-39 aircraft were already transferred to combat military units, radar complexes “Malachite”, “Pelican” The President said. The head of state noted that the war accelerated the changes in the training program for the flight crew, the raid on every student increased by 50 hours, the requirements for the training of pilots in conditions close to the combat ones increased. “Last year’s graduates of the Kharkov National University of Air Forces were the first in the history of the university not only to master the technique of piloting MiG-29 and Su-25 combat aircraft, but also carried out missions for combat missions,” he said. President Petro Poroshenko congratulated military pilots on the Day of Air Forces of the Armed Forces of Ukraine as part of his working visit to Vinnytsia region. “I wish you a peaceful sky on the occasion of the Air Force Day of the Armed Forces, and it is from you, by the way, it largely depends on whether it will be peaceful. I wish you inspiration and success in your difficult military service, harmony and prosperity to your families, good health, In the happy future of our Ukraine “, – quotes the head of state Censor.NET with reference to his press service . “Thank you for the impeccable military service to all those who are currently guarding the sky of independent Ukraine,” he said. The President stressed that Ukrainian military pilots protect the country from the Russian aggressor. “You have carried out and are performing extremely difficult tasks: from the sky you cover and defend our troops and our whole country, conduct aerial reconnaissance,” he said. The President added that during the period of active combat operations, the pilots destroyed armored vehicles and the firing positions of terrorists. head of state underlined that heroes of heroism and sacrifice became heroes of Heroes of Ukraine Konstantin Mogilko and Dmitry Mayboroda. “They died, giving an opportunity to save their comrades and preventing civilian casualties.” The people of Slavyansk will certainly put up a monument to the pilots of the plane, who was shot down by Russian militants on June 6, 2014 and could fall on the city.The crew, at the cost of their own lives, took the plane into the forest belt, Said the President. Poroshenko is convinced that the Ukrainian people will always remember the crew of Alexander Bely, Whose Il-76 was shot down by Russian-terrorist units near the Lugansk airport, as well as all the Air Force servicemen who gave their lives for Ukraine. Those present honored the memory of the dead heroes with a minute of silence. The Air Force Day of the Armed Forces of Ukraine is celebrated annually on the first Sunday of August. The holiday was established by presidential decree No. 579/2007 of June 27, 2007. The MiG-29 fighter arrived at the military airfield of Vinnytsya to congratulate the military pilots on the occasion of the Air Force Day. The airplane was piloted by the commander of the Air Forces Colonel-General Serhiy Drozdov. Thank you for the impeccable military service of all those who are now guarding the heavens of independent Ukraine. Glory to the Armed Forces of Ukraine! 05.08.2017 14:55. More than UAH 1 billion from the state budget has been allocated this year for the support of the Air Forces of the Armed Forces of Ukraine. President of Ukraine Petro Poroshenko announced this on Saturday on the occasion of the Day of Air Forces during his trip to Vinnytsia region, an Ukrinform correspondent reports. “More than UAH 1 billion has been allocated from the state budget for the Air Force of Ukraine to restore combat capability, maintenance, operation and repair of weapons and military equipment,” the Head of State said. According to him, this will help to send more than 40 basic models of new weapons and equipment to the military units. Also, additional payments to servicemen who fulfill their duty in the ATO zone will be increased. Entrusted to lift maintenance on the first line to 10 thousand per month and the second line – 4, 5 thousand. This is the fulfillment of our obligations regarding the priority of financing of the Armed Forces. President of Ukraine Petro Poroshenko approved a new model of the military banner of the military unit (connection) of the APU. The relevant decree No. 209/2017 of August 5 was promulgated on the official website of the head of state. “On the replacement of Article 1 of the Decree of the President of Ukraine of June 20, 2006, No. 550” On the description and drawing of the basic sample of the military banner of the military unit (unit) of the Armed Forces of Ukraine “, to approve a new description and drawing of the basic military banner banner of the military unit (connection) ), “The text of the decree reads. It is also noted that the document comes into force from the date of its publication. 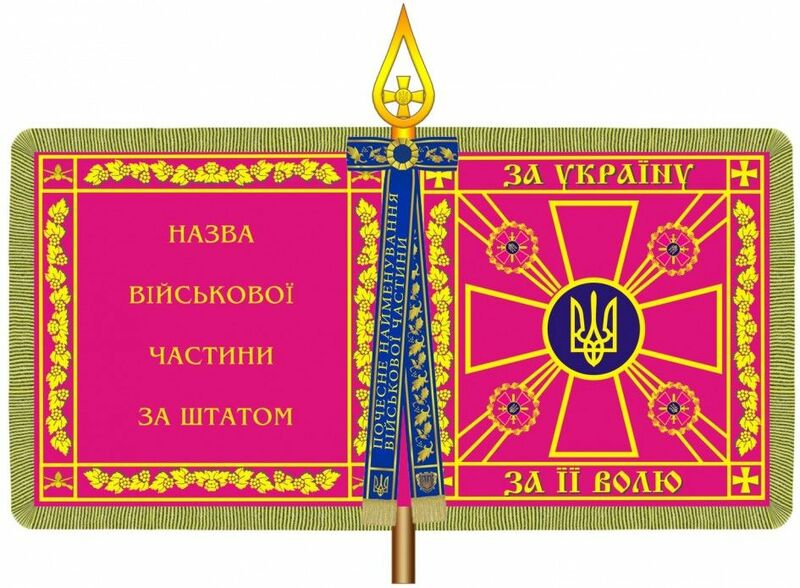 In the description of the basic example of the military banner of the military unit (connection) of the APU in particular, it is said that the battle flag is a square crimson cloth of 130 x 130 cm size with a reserve for fastening to the shaft. On its front side in the center is the emblem of the Armed Forces of Ukraine, placed against the background of golden rays, which three diverge from the center between the sides of the emblem (cross). On the rays there is an image of wreaths made of leaves and bunches of Kalina, in the center of which there is an emblem of the APU type, to which the military unit (connection) belongs. Read also More than a symbol: Poroshenko published a patriotic video for the Day of the Flag The cloth along the perimeter has a frame trimmed with a gold edging. The upper part of the frame contains the inscription “For Ukraine”, and the lower part – the inscription “For the Will”. The right and left parts of the frame are decorated with an ornament in the form of an image of leaves and bunches of Kalina. In the corners of the battle banner, in the squares, trimmed along the perimeter with the gold edging, there are images of straight equilateral crosses with divergent sides. On its reverse side in the center there is an inscription of the name of the military unit (connection) to which it is handed. The cloth of the back side of the battle banner is decorated around the perimeter with a frame with ornament in the form of an image of leaves and bunches of Kalina. In the corners is placed the emblem of the kind of troops to which the military unit (connection) belongs. All images and inscriptions on the banner banner are made with gold embroidery. A radar station of the new generation will be created in Ukraine in accordance with world standards Today, 13:44 This is reported by Depo.ua with reference to the press service of “Ukroboronprom”. The concern noted that the experimental prototype of the new generation 80K6T radar station, which operates on solid-state modules, creates the Scientific-Production Complex Iskra CP. “80K6T meets all international standards. In particular station is equipped with a transistor transmitter and has the ability to transport US military transport aircraft C-130 Hercules. These requirements are specified in virtually all international tenders for the procurement of the radar, because the design of radar 80K6T were decisive,” – specified in the “Ukroboronpromi.” Said station provides automatic detection and determination of three coordinates, “binding” signal state recognition and support of detected targets at low, medium and high altitudes. It also gives information on detected targets to command posts and connected systems. “When we developed the 80K6T radar, we took into account all the disadvantages of the previous models and the experience of the best world models.” The new station has high operational and tactical characteristics, it is highly adapted for use in field conditions, in particular, it can be quickly adjusted and repaired directly in the field ” – said the developers. Ukraine continues to build up its arsenal, giving a second life to Soviet technology from the warehouses. Only last week Depo.ua talked about the new robot fighting robots and a modern domestic flamethrower , as information about the next achievements from “Ukroboronprom” was received. We are talking about the SPAAG system of the ZSU-23-4 “Shilka” , the acceptance tests for the Armed Forces of Ukraine, which was held yesterday by the state-owned enterprise “Balakliya Repair Plant”, which is part of “Ukroboronprom”. As you know, SE “Balakliya repair factory” is one of the leading enterprises of the State Concern, which performs repair, modernization and restoration of anti-aircraft missile systems for the Armed Forces of Ukraine. According to the company, since 2014 the plant has repaired about 100 units of this military equipment and weapons. At the same time, within three years, the company increased its output by 3.7 times. And now let’s consider in more detail – that Ukrainian “gunsmiths” are being released from the cage for a “beast”. Thus, it is known from the encyclopedic sources that the ZSU-23-4 “Shilka” is an anti-aircraft self-propelled Soviet-made plant designed for direct air defense of ground forces, the destruction of air targets flying at speeds up to 450 m / s, at distances up to 2500 meters and heights up to 1500 meters, as well as ground (surface) targets up to 2000 meters from a place, from a short stop and in motion. So, as we see, the primary purpose of “Shilki” is protection against enemy aircraft and helicopters. 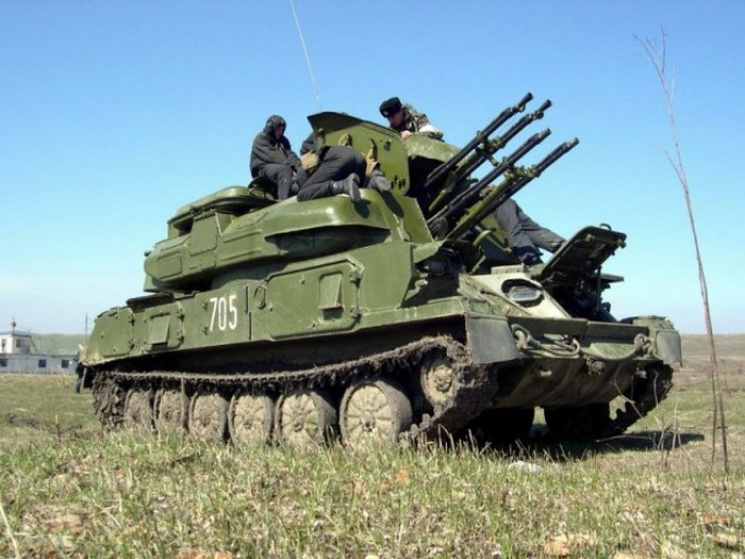 However, in conditions of the hybrid war on the Donbass and the absence of aviation terrorists, Ukrainian fighters found a new use of this war machine: a defeat of ground targets. For example, the speed, speed and maneuverability of the “Shilki” allows it to be used to suppress the enemy’s firing positions. The crew of the installation consists of 4 people: a commander, a search operator, a range operator and a mechanic driver. Arms “Shilki” consists of four-barrel automatic anti-aircraft gun AZP-23-4 with liquid cooling and radar-equipment complex. The gun is guided by a hydraulic actuator, and the ground targets are also manually operated. The ammunition is set up to 2,000 shells, and shot speed is 3,400 shots per minute. “Shilka” is capable of firing ammunition BZT (armor-piercing-inflammatory-tracing), OFZT (split-high-explosive-ignition-tracing) and OFZ (split-high-explosive-inflammatory). Typically, the tape equipment is made as follows: three OFZT and one BZT. With a weight of 21 tons, it is equipped with a 23-mm four-winged anti-aircraft gun, the speed of which each of which is 11 shots per second. 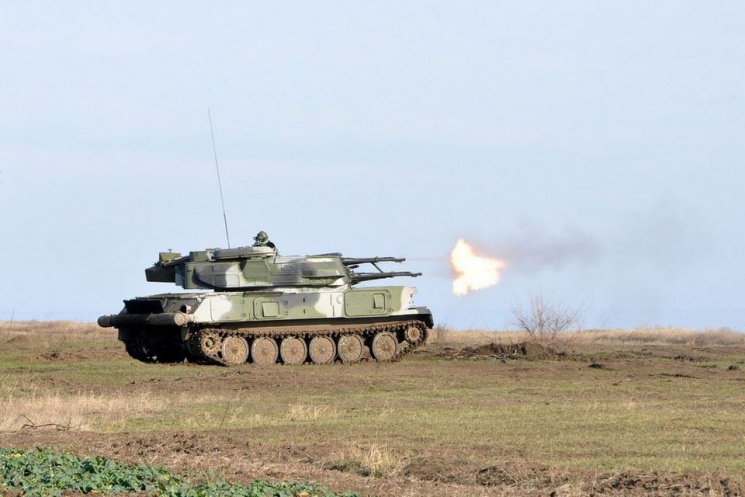 The maximum range of the shot: up 1500 m, ground 2500 m. Maximum speed on the highway – 50 km / h. Speed on uneven terrain – up to 30 km / h. It is reported that during the last test, the work of all combat vehicle systems, including the fire from a 23-mm four-speed automatic cannon at a speed of 3400 shots per minute, was fully tested. By the way, the experience of recent military conflicts with the participation of “Shilki” showed it as a serious combat unit not so much in force as in the psychological impact on the enemy – its flurry of fire, not all infantry will survive. It is in the universality of the purposes and it is its power. As for the war on the Donbass, “Shilka” was noticed, in particular, in the Avdiivka “strike”. The fighters were joking about her: “It’s not enough, but with her mass it’s not her problem.” And although at the present time, “Shilka” is considered an outdated anti-aircraft installation (in the Soviet era it began replacing the more advanced Tunguska ZRPK), however, despite this, it is still in service with the armed forces of Russia, Ukraine and several dozen Other countries. The exact number of this, though not far-sighted, but still very effective weapon in the warehouses of the Ukrainian Armed Forces failed to find out, but it can be assumed that several hundred more of its “copies” lies in the trash. Let’s remind, that to give the second life to old mothballed equipment is faster and cheaper, than to develop and produce new models. Especially in conditions of total deficit of time and a chronic shortage of funds, which Ukraine faced as a result of Russian aggression. Published on Aug 1, 2017 The State Enterprise “Balakliya Repair Plant”, a part of the “Ukroboronprom”, is one of the leading enterprises of the State Concern, which performs repair, modernization and restoration of anti-aircraft missile systems for the Armed Forces of Ukraine. More than 80 percent of the ISIS attacks against the US-backed Syrian Democratic Forces (SDF) have been accomplished by using hidden IEDs, according to officials. “Fighting in Raqqa continues to be intense, as fanatical ISIS dead-enders and foreign terrorist fighters left to die use the dense urban environment to try to cling to territory,” said Colonel Ryan Dillon, a coalition spokesperson. “ISIS continues to use the closely spaced buildings and tight streets of the city to hide large improvised explosive devices, attempting to slow the advances of the Syrian Democratic Forces who are clawing away at remaining hiding places. More than 80 percent of the ISIS attacks against the SDF have been accomplished by using hidden IEDs,” he said. The US Colonel said the coalition is doing everything to help identify where these IEDs are, these vehicle-borne IEDs, the factories where they are being built and striking them prior to the ability of ISIS to use them. “And as far as detection of these IEDs, there are capabilities that we have and are using in Raqqa for that purpose,” he added. However, the coalition official said although there is an increase in use of IEDs, ISIS has no coherent defense to push back. “We have seen an increase in the amount of IEDs and the booby-traps that ISIS is using within Raqqa. That said, what we haven’t seen is a coherent defense,” he said. “And unlike what we have seen in Mosul, as an example, their ability to react as the Syrian Democratic Forces presents and pushes from the different sides and the different areas throughout the city of Raqqa, they have not been able to counter that,” Dillon added. “The ISIS has not been able to do so. So we will continue to exploit that, and the Syrian Democratic Forces will continue to take ground every single day. Even from today, there was a good chunk of ground that was taken on the east side between those converging forward lines of troops from the east and west. So, progress is being made every single day,” he said. The Kurdish-led Syrian Democratic Forces have so far completed the second month of operations to defeat ISIS in Raqqa, liberating half of the city. Prague parlays its unique position in Syria into being America’s protecting power. Iranian President Hassan Rouhani, who is being sworn-in for a further term on Saturday, has accused the United States of trying to undermine Tehran’s nuclear deal with world powers, and urged European countries not to side with Washington. creating long-term country expertise; deep embedding with local security forces; and reducing the conflict’s visibility to allow the US to play a long game. Shifting the balance of military personnel and contractors might help. First, as Prince points out, the US needs, and has always lacked, people who stay on the ground for years and really know the turf. The Vietnam War had John Paul Vann, who spent seven years in theater and knew everyone. The Afghan War had Carter Malkasian. In two years working with Afghan leaders, he had enough time to understand their problems and win their trust. (Learning to speak the language also helped.) But these individuals were unique. The military has nothing comparable. Service members rotate quickly because long deployments stress the force and reduce retention, and few speak the language outside of a few foreign area officers. They stay in theater seven months to a year. Thus it is said that the US does not have 16 years of experience in Afghanistan; it has one year of experience 16 times. Further, the military personnel system discourages building such expertise because such assignments would hurt careers. Military personnel, particularly senior enlisted and officers, need to move through a set series of assignments to be competitive. Captains need to command companies, majors need to be operations officers, lieutenant colonels need to command battalions. Getting sidetracked by a long assignment outside established units makes individuals uncompetitive, irrespective of whatever guidance senior leaders might give promotion boards. FM 3-24, Counterinsurgency does not even raise the possibility of such long tours. The military and counterinsurgency community understand this problem. Many commentators, from Tom Ricks to RAND have noted the need for such a cadre, but nothing has ever happened. (Creating roughly half-a-dozen regional regiments is a favorite cause of Breaking Defense’s editor.) Contractors provide a different and much more flexible personnel system. They can hire people with the right qualifications, often prior military, and put them in place for extended periods because both sides know that that is the deal. They can leverage existing skills and do so without many of the constraints of the military system, like age or the need to retain for a 20-year career. Getting the right contractor into the right billet is not automatic, it takes effort, but the mechanism is there. Second, creating viable Afghan security forces is the only way we’ll be able to pull our forces out without causing a collapse behind us. Long-term embeds down to the lowest levels, as Price suggests, might be the way to accomplish that. Our current approach of using generalists — however brave and well intentioned — who turn over rapidly is not working. Most Afghan units, outside of special forces, although fighting and dying, are not very effective. The U.S. Army is building regionally aligned security force assistance brigades to provide such capabilities, but that effort is just beginning. Prince points to the 19th century army of the East India Company as a model. That army failed, revolting in the Sepoy Mutiny of 1857. (In any case, creating a whole contractor army is highly debatable.) But the success of the successor British India Army of the Raj is undeniable. It maintained peace on the subcontinent and fought effectively in both World Wars. One reason the British were so successful with Indian forces was that many military personnel went native, integrated fully, learned the language, and took up local customs, including Indian dress. British officers and NCOs spent entire careers with Indian troops. Deep acculturation also avoids the mirror imaging that Price, and many others, criticize; other militaries don’t need to be structured and equipped like the U.S. military. Third, if the US really wants to play a long game in Afghanistan, it will need to reduce the war’s visibility. It’s hard to do that with large numbers of Americans wearing uniforms because servicemembers get so much attention, and DOD keeps pointing to them. Continuous stories about deployments and stress on military personnel remind the public about the war. Thus, the political questions constantly arise: how are we doing and when will the war be over? On the other hand, one of the tenets of counterinsurgency is that it takes a long time and requires “strategic patience”. Some go on for decades. As FM 3-24, Counterinsurgency, notes: “Counterinsurgency operations may demand considerable expenditures of time and resources…. 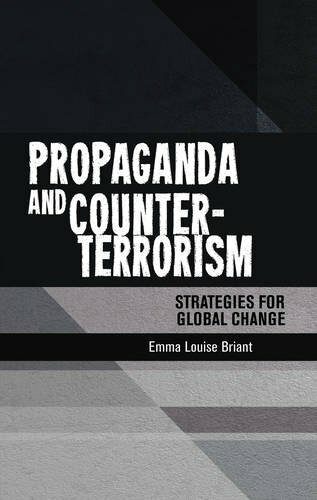 The population must have confidence in the staying power of both the affected government and any counterinsurgency forces supporting it.” In supporting the decades-long Colombian counterinsurgency, the US deployed no military units but instead used contractors extensively. As a result, the war stayed off the public’s radar, and the US was able to sustain a long-term effort that culminated in the 2016 peace agreement and, in effect, surrender of the insurgents. Yes, there is an element of cynicism in substituting contractors for military personnel and capitalizing on the public’s lack of interest in contractors, but the world is what it is and decision-makers must deal with it. Reduced visibility is something every White House looks for, and this White House (like the two previous administrations) is anxious to avoid an endless war. The US already has a lot of contractors in Afghanistan — 26,000 according to the most recent report — of whom 9,500 are Americans. Two-thirds perform base functions like logistics and communications support, 13 percent are in security, only 3 percent in training. Using contractors is not an either-or proposition, but a question of changing the manpower mix. If the US were to rely more on contractors, it should apply the painful lessons learned of the last two decades. The early years of the Iraq war were marred by extensive abuses. Although contractors were generally effective, government contracting organizations were overwhelmed and unable to provide the oversight necessary. As a result, many safeguards are now in place, from a beefed-up contingency contracting capability, to regulations holding contractors accountable to military authorities, to doctrine on how to employ contractors. Prince proposes that the Afghan government employ contractors, which, among other effects, gets around prohibitions on contractors performing “inherently governmental functions” that exist in US law. However, the Afghan government is almost certainly unable to efficiently and effectively exercise control over this much money and capability. The U.S. would need to be in charge. So we should take these points seriously, even if some of Prince’s other recommendations are debatable, and many people don’t like his past. Yes, the military personnel system might be changed to accomplish some of these goals, but changes during 16 years of war have been modest, so there is no reason to believe that major shifts are near. Maybe a different manpower balance could do better. President Trump blames China for not doing enough to contain North Korea’s nuclear threat. But how much influence does China really have on Pyongyang? OPINION | The US has better policy options than to strike North Korea first, but it will take patience, leadership and vision to restrain the threat. The United Nations Security Council is set to vote on Saturday on a U.S.-drafted resolution that aims to slash by a third North Korea’s $3 billion annual export revenue over Pyongyang’s two intercontinental ballistic missile (ICBM) tests in July. A Security Council diplomat said an American-drafted resolution would be an “extremely impactful” response to North Korea’s missile and nuclear tests. U.S. can curb North Korea threat only with an all-of-the-above strategy. North Korea’s nuclear threat is leading to more support in Washington for upgrading homeland missile defense systems, including adding a space layer. The Pentagon has a program that can intercept North Korea’s intercontinental ballistic missiles, but it has been starved for funding and needs some quick upgrades to adequately protect the U.S. homeland. “North Korea can build missiles faster than we can build defenses,” one analyst warns. Disenchanted with life in capitalist South Korea, Kwon Chol-nam is asking to be repatriated, an impossibility under current law. 38 North reveals their latest information. As North Korea conducted two ICBM tests within a month, John Schilling analyzes Pyongyang’s progress and what might be next for its delivery systems. South Korea’s spy agency has determined that some of its agents tampered with the 2012 election that put now-disgraced conservative President Park Geun-hye into the top job over liberal Moon Jae-in. In an attempt to keep a conservative in power, The National Intelligence Service (NIS) said that the agency attempted to sway public opinion using internet experts and social media, according to the BBC. The investigation has also revealed meddling attempts under Park’s predecessor, Lee Myung-bak, who was president from 2008 to 2013. Park and Lee, both part of the same conservative political party and both caught in corruption scandals, were hardliners on North Korea. Meanwhile, three U.S. citizens are stuck in North Korean jail cells. Senior administration aides postponed the announcement at the urging of United Nations and State Department officials. Put two major powers next to each other and they’re bound to bump heads from time to time. Sikkim standoff: Softening her previous stand, External Affairs Minister Sushma Swaraj on Thursday said the border stand-off with China cannot be resolved through a war but can be settled through bilateral talks. China has been expanding its boundaries at the expense of its neighbours particularly in the south and east. 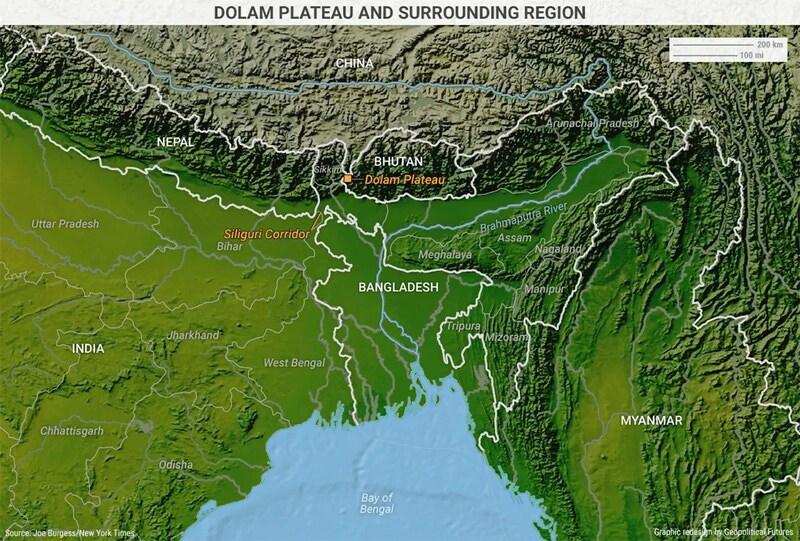 Doklam is its latest attempt to forcibly increase its territorial expanse. Gazprom gets access back to Germany’s OPAL Pipeline. Russia finds itself confronted with a widening of EU sanctions over the country’s annexation of Crimea in 2014. The transfer of Siemens turbines to the peninsula triggered a fresh round of punitive measures. The European Union on Friday imposed sanctions on three more Russians, including Deputy Energy Minister Andrei Cherezov, and three Russian companies over the delivery of Siemens’ turbines to Moscow-annexed Crimea. A look at the way the new US sanctions against the Russian Federation took shape and came into effect. Prof.Sunil Kumar Sharma The US President Donald Trump on Wednesday, 3 August 2017, signed legislation which was earlier overwhelmingly passed by both the chambers of the Congress. The congressional bill, which after the signature of Donald Trump has become a law, renews and reinforces even more stringent penalties and sanctions on the Russian Federation for its meddling in the US presidential elections, the annexation of Crimea and for continued aggression against Ukraine. Moreover, the bill combines sanctions on North Korea and Iran as well and clubs Russia in the same league of “Rogue Nations” upon which the US administration has come down heavily for their belligerence and defiance. The pattern of voting for the legislation that seeks to punish Russia, North Korea, and Iran for defying international law and order and playing truant to world peace, clearly establishes the overwhelming support the sanctions bill commanded among the members of both the parties, the Democrats and the Republicans respectively. The house of elected representatives, the Congress, passed the revolutionary bill 419 to 3 on July 25 and two days later the house the Senate gave 98 voices in favor and only 2 against. Congress also gave itself the power to review any presidential attempt to undo the Russia sanctions specifically, thereby tying the hands of President Trump from exhibiting any overt show of inclination towards the regime of Vladimir Putin. The planned sanctions on Russia have in part been influenced by the outlook of American representatives to further punish Russia for its annexation of Crimea in 2014. The new provisions in the law would place additional restrictions on oil and gas projects, affecting the Nord Stream 2 pipeline from Russia to Germany. The new sanctions would also target key Russian industries such as the railways, shipping, metals, and mining, severely limiting access to global finances, new technology, and future contracts, collaboration with US companies. The E.U. added three Russian nationals and three companies to its sanctions list over the issue. Chief prosecutor Luisa Ortega, the most vocal administration official of Nicolás Maduro, vows to keep fighting for human rights and democracy. The country’s newly installed constituent assembly plans to rewrite Venezuela’s Constitution and consolidate the power of President Nicolás Maduro and his allies. Police use tear gas on protesters who accuse the president of making a power grab. The U.S. and international community should develop a forward-looking strategy to deal with Maduro . Also, while it is true that millennials, as “digital natives,” are tech-savvy—they are also equally tech-dependent. A recent Nielson report found that 97 percent of Americans aged eighteen to thirty-four had access to smartphones; use has become “second nature.” Most won’t travel across town without their iPhones. Why is this abundance and dependence a problem? For starters, it deviates from historical norms, so Americans are apt to fail to recognize this growing vulnerability. Second, it gives near-peer competitors a weakness to exploit. Russia’s shown it can shut down phones and airwaves, and failing at this type of electro-magnetic spectrum warfare is punctuated by Gen. Milley’s favorite new catchphrase: “if you emit, you die.” That’s a problem when your army is filled with folks who “emit” 97 percent of the time (and can’t imagine not emitting). It also gives sub-peer competitors a comparative advantage. You know that satellite image of North Korea and South Korea at night? The one that shows how dark it is in the north—meant to convey the message that the North Koreans are backwards and live in the Stone Age? Imagine the North Koreans fired an electro-magnetic pulse (EMP) shot, a capability they certainly possess—shutting down every single electric US and allied asset on the Korean Peninsula (including computers, weapons, tanks, ships, planes, communications gear . . . nearly everything except bayonets). With one shot, the North Koreans can pull everyone into an arena where they have an edge. The good news is the military is starting to come to grips with non-traditional problems, like the potential loss of communications, through new concepts (e.g., “multi-domain battle”). But the dirty secret is that even if the United States builds the right playbook, it still might not compensate for the millennial generation’s inability to execute. The United States might desire to be ready to fight “naked,” (e.g., reduce electronic signatures like submarines in enemy waters)—but might not have the team to run this play. Unfortunately, this vulnerability doesn’t get nearly enough attention. And sometimes, what you don’t care about might get a lot of millennial soldiers killed. Russia and China are raising their defenses against stealth technology with improved radars, longer-range missiles, cloud computing and even stealth planes of their own. These trends make continuous improvement to stealth, such as through the forthcoming B-21 long-range strike bombers, a necessity if the U.S. is going to maintain its offensive edge, according to a report published by The Mitchell Institute for Aerospace Studies, a think tank in Virginia. DIUx has awarded AI startup SparkCognition the first phase of a contract to provide analysis for Air Force budgeting procedures. The FBI monitored social media on Election Day last year in an effort to track a suspected Russian disinformation campaign utilizing “fake news,” CNN has learned. As China and Russia crack down on VPN services, digital rights activists sound the alarm. Prosecutors say Marcus Hutchins admitted writing and selling code designed to steal bank details. Given all the controversy about Russia today, maybe it’s time for a reality check. Russia’s economy is smaller than Italy’s or France’s. It is not in the world’s top 10 economies, as measured by gross domestic product. The country’s main export is energy, and low oil prices have decimated its budget, loading it with debt. Its population is smaller than Pakistan’s, and is projected to shrink over the next several decades. Russia has never attacked Western Europe or the U.S., and was in fact allied with the U.S. against Nazi Germany in World War II, sustaining the greatest number of casualties of any of our allies. Only during the post-war Communist era was nuclear-armed Russia — through its dominance of the Soviet Union — a serious military threat to the West. Today, Russia’s annual military budget is less than one-tenth the size of the U.S.’s. Yet after the collapse of the Soviet empire, as it struggled to cast off its communist past, Russia remained a pariah to America and Western Europe, as they continued to press its western flank with the expansion of NATO. A few thoughtful observers decried NATO’s eastward push as an unnecessary provocation of an obviously weakened Russia. Is it any wonder that Russian nationalists like Vladimir Putin were able to step into the void and stir the passions of ordinary Russians who felt slighted and threatened by the West? Given the turmoil and uncertainty after it lost its vast Soviet empire, is it really surprising that Putin’s Russia turned its attention to advancing its position at the margins of a reduced state by looking to absorb and consolidate Russian populations just across its borders in places like Georgia or Ukraine? In the case of Ukraine, American subversion against a duly elected pro-Russian president left Russia in the untenable position of potentially losing its major naval port at Sebastopol. What did we expect Russia to do, sit idly by while its power, prestige and national security interests were under siege? US President Trump grudgingly signed into law new sanctions against Russia, Iran and North Korea. But what’s in them? Here’s what you need to know. Rather than pressuring Russia into political change, the sanctions are likely to reinforce Russia’s view that any cooperation with the West would be a display of weakness. Moscow’s ex-US ambassador has been giving details of talks with the former US security adviser. Investigators have also questioned witnesses about whether Michael T. Flynn was secretly paid by the Turkish government in the final months of the 2016 presidential campaign. President Donald Trump pressured the Mexican president to stop voicing opposition in public to his plan to have Mexico pay for a border wall, according to transcripts of phone calls published on Thursday that gave an insight into Trump’s attempts to influence foreign leaders in his first days in office. A now-notorious phone call between US President Donald Trump and Australian Prime Minister Malcolm Turnbull has turned into a diplomatic headache. That Trump became President not by a coup but through an election is a national humiliation.